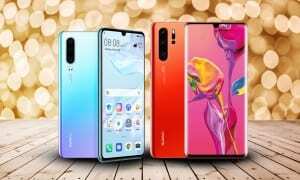 How To Buy The Best Cordless Phone: Top Home Phones For 2019 - Which? Want a call blocking home phone? Single or multi-pack? Built-in answering machine or provider-based? Our guide will help you find the right cordless home phone. The best cordless phones offer crystal clear sound quality and a generous cordless range so that you can wander around your house without being cut off. Buy the wrong one and you’ll be left struggling to understand friends and family – that’s if you even hear them call. Which? tests cordless home phones to help ensure you don’t buy one with poor sound quality, low range or that's awkward to use. We also examine in-built answering machines and nuisance call-blocking capabilities, so you can be confident that you'll find a phone to suit your needs. Whatever you're looking for, we'd recommend watching the video above before parting with your cash so you make sure you get the best cordless phone for your home. Take a look at our cordless phone Best Buys to discover the models that sail through our tough tests. Below you can use our interactive choosing tool to narrow down precisely what you should look for in a cordless phone. What should I consider when buying a cordless home phone? Do I need a call blocking cordless phone? - If you’re sick of nuisance calls then it could be worth investing in a phone that offers call blocking features. Basic models allow you to block around 50 specific numbers while some phones can bar calls by type – for example all international calls or those from withheld numbers. 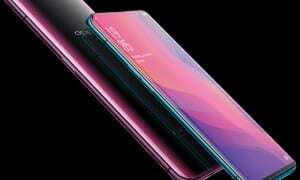 The most sophisticated call blocking phones can even act as a sort of virtual secretary, asking anyone who calls you to leave their name before the phone will ask you whether you want to take the call. For any call-blocking phone to work you will need to activate your Caller ID with your landline network provider, and in some cases this will be free or be for a nominal monthly fee. Click to find out more about our top rated call blocking phones. Do I need a wall mountable phone? - If space is at a premium, you can wall mount some cordless phones. These are pretty rare – most need to sit on a flat surface, and you’ll still need to run power and phone cables up the wall to the base unit. Do I need an answering machine? - Most home phones now include an answering machine. If an answering machine is important to you then decide whether you want one with full controls built into the base, or just access through the handset. This base unit makes it easier to see and to access your messages, though does add to the unit's size. Also consider how much recording capacity you need. Some models have as little as 11 minutes, while the best will record an hour of messages. Most handsets and base stations have a flashing light, but some models will also emit a beep to indicate when you have a new message. Do I need a single handset or a multi-pack? 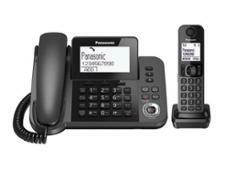 - Cordless phones typically come in single, twin, triple and quad packs. 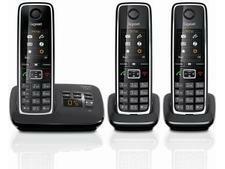 A single handset cordless phone costs from around £20, whereas packs with four handsets start from around £70. Extra handsets don’t have to be the same brand as the original as all modern phones are Generic Access Protocol (Gap) compatible. This means you can use any compatible handset with any base unit, for example a Panasonic Gap handset will work with a BT Gap compatible unit. You still need a base unit, which connects to the phone socket, but the other handsets just need a power socket. How can I extend the range of my cordless phone? Manufacturers claim that their phones will work over long distances - typically up to 50m indoors and up to 300m outdoors. However, in reality obstructions, especially thick walls, will significantly reduce the range. If you suffer from poor reception it can be a good idea to buy a separate booster (also known as a repeater). Simply place this small box as far away as possible from your base unit but still within range, and it will boost the signal back to the original level, effectively doubling the range. But not all phones are compatible with signal boosters – check our phone reviews to find out if the model you’re interested in can be used with one. What additional features do I need? 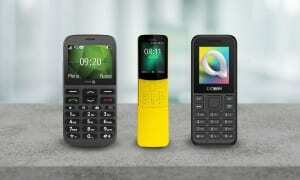 Some of the latest cordless phones are more like mobiles than traditional phones. 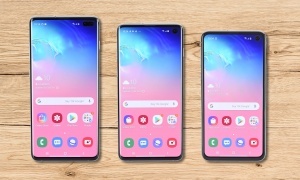 They come packed with features, but can be trickier to use than basic handsets, so think carefully about which features you really need before you buy. Sim-card reader - Handy if you've got lots of friends or family members saved on your mobile phone. Simply pop the Sim card from your mobile phone into the reader and you can transfer all your stored numbers directly over to your cordless phone. Phonebook sharing - If you plan to buy more than one handset then look for one that enables you to copy the phonebook – otherwise you’ll have to type it in on every one. Some phones have a shared phonebook. This means that any time you update the contact details on one handset the others are automatically updated as well. Night mode - If you don't want to be disturbed you can set some phones so that they don't ring and instead only flash silently when there's an incoming call. Hearing-aid compatible - Older analogue hearing aids can be affected by interference from cordless phones. To cut down on interference look for a hearing-aid compatible phone. This means that it has an inductive coupler, which works directly with a hearing aid to give a clearer sound. To use the inductive coupler your hearing aid has to be switched to the ‘T’ (telecoil) setting. 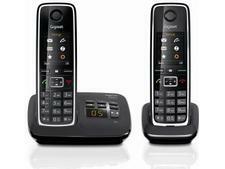 Now find the perfect cordless phone for you by checking out our cordless phone reviews.